I felt like Baylor Law was the best law school for me to set myself up future success. 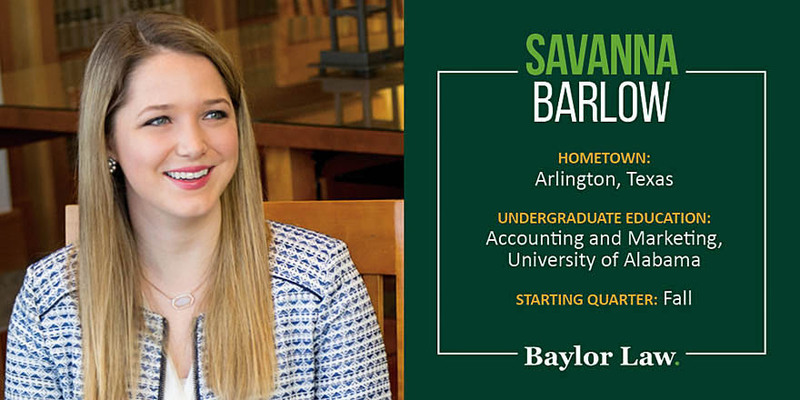 Every lawyer I’ve ever talked to has said that Baylor produces lawyers that understand how to actually practice law. I loved the idea of a challenging law school curriculum and feel that challenging myself more in law school will better prepare me for a legal career. I love the small class sizes, because I feel like they really foster a strong sense of community. The small classes combined with the rigorous curriculum really create a sense of camaraderie, because we are all in this together.